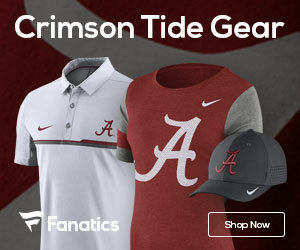 MSU preview: Bulldogs could be Tide’s biggest regular-season test | TideFans.com | By the Fans, For the Fans. Mississippi State isn’t all that likely to beat Alabama, but Tua Tagovailoa making a second consecutive fourth-quarter appearance isn’t just a possibility; we think it’s all but assured. With Auburn a bad matchup for what Alabama is capable of doing with its defensive front, the game against the Bulldogs of Starkville, Miss., may end up being Alabama’s biggest challenge of the 2018 regular season. 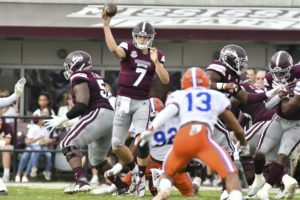 Mississippi State’s offense is unique; it began with Dan Mullen’s spread-option attack, but new head coach Joe Moorhead seemed determined to open it up a bit and widen its scope. For whatever reason, the changes have been slow to take, so Mississippi State has essentially brought back Mullen’s approach, simplified the playbook, and the offense is more or less a full-time Wildcat now with the primary runner (the quarterback) able to throw the ball. The stat that jumps off the page is passing offense: 105th in the country. And now, throw it out. MSU has become much better balanced since the reversion to the spread-option look. The Bulldogs also rank 20th in rushing offense, and if the passing attack continues to come around, that kind of balance is something Alabama hasn’t seen yet. Alabama continues to lead the nation in total offense, scoring offense, third-down offense and passing efficiency, and ranks 5th in passing offense and 25th in rushing. There’s no question which is better, but the question is whether MSU is tough enough to create issues. Nick Fitzgerald is one of the most interesting cases at quarterback in the country. He is not accurate (50.8%), throws too many interceptions (7 this year against just 10 touchdowns) and his QB rating (113.8) doesn’t scare anyone. But he has also rushed 155 times for 839 yards (5.4 avg. ), which includes yardage lost to sacks, and 9 touchdowns. Most notably, he is prone to extended cold and hot streaks, and Alabama is hoping for the former this Saturday and not the latter. MSU will use him exactly as it used Dak Prescott against the Tide in the past. Fitzgerald’s performance against Alabama last year is also still fresh in most people’s minds. Backup Keytaon Thompson is cut from similar cloth, and if Fitzgerald gets hurt the offense isn’t going to change a lick. Thompson, for that matter, is averaging nearly 11 yards per rush this year. Because so much of the offense runs through the QB position, MSU’s 1-2 punch at tailback, Kylin Hill and Aeris Williams, have just 127 carries between them. Both are averaging more than 6.5 yards per carry. Hill and Williams both have good bulk and can run anywhere between the tackles, or outside. Alabama is going to get a challenge here, especially with Fitzgerald always being an option to keep the ball. Nick Gibson and Dontavian Lee provide depth. As of mid-week, Hill was listed as questionable with an undisclosed injury, but we expect him to play, and if he doesn’t, it won’t be a huge loss due to good depth and restricted usage of Williams. This is Mississippi State’s primary weakness on either side of the ball. Steven Guidry has a lot of potential, and good height, but hasn’t shown enough consistency. He has just 15 catches on the year but they usually go for big chunks. Osirus Mitchell, the team’s leading receiver with 20 catches, is listed as questionable with an undisclosed injury. He’s the only receiver possessing both good height and enough bulk to fight through press coverage. Slot receiver Dedrick Thomas has good quickness, but lacks size and can get redirected off his routes. MSU has to cut down on the drops this game, but with the quality of Alabama’s cornerbacks, wrapping up the ball won’t be the only issue. If Mitchell is out, either Austin Williams or Jesse Jackson will start in his place, and neither player is more than a borderline SEC player at best. The tight end combo of Farrod Green and Justin Johnson keep this unit from being completely a washout; Johnson can create matchup problems for all but the best linebackers and safeties. There’s really no comparison here unless you feel the nagging injuries to DeVonta Smith and Henry Ruggs III will keep both out of the game. Smith played against LSU last week, but clearly wasn’t ready to return. Ruggs suffered a bruised leg but should be fine. Even if both were completely unavailable, Jerry Jeudy and Jaylen Waddle are far better than any State receiver. Derek Kief should get some real playing time this week, with Terrell Shavers and Xavian Marks also available. MSU is 55th in sacks allowed and 18th in tackles for loss allowed, good numbers given how much of the offense rolls through the quarterback as the A-option. This is a veteran unit, with Elgton Jenkins starting at center, Darryl Williams and Deion Calhoun at the guards and Greg Eiland and Stewart Reese at the tackles. The only concern is depth, not necessarily the number of available reserves but more so their quality.